The best video games are often those with simple ideas at their core. Tetris is a perfect example – it’s simply piling odd-shaped blocks together in order to form a solid wall, and yet it’s highly addictive, even if you’re only playing the unofficial online clones of Tetris Fall Head Over Heels With The Best Tetris Clones To Play Online [MUO Gaming] Fall Head Over Heels With The Best Tetris Clones To Play Online [MUO Gaming] Tetris is fast approaching its 30th birthday, having originally been released in the USSR in 1984. 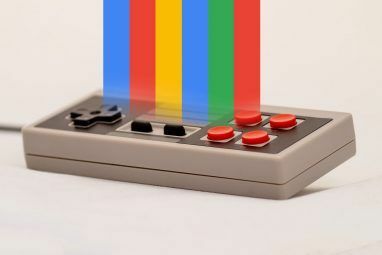 What's absolutely amazing is that Tetris has lost none of its appeal in those three decades, gaining new fans... Read More . Then there is Angry Birds, which is addictive for many reasons 5 Reasons Angry Birds Is So Damn Addictive 5 Reasons Angry Birds Is So Damn Addictive My name is Dave Parrack, I'm a 34-year-old freelance writer from England, and I have a problem. I'm addicted to playing Angry Birds. Being hooked on catapulting feathered weapons of mass destruction into smug pigs... Read More . Even Call Of Duty is simple in the sense that you shoot the bad guys, and that sells like the proverbial hotcakes every single year despite having peaked a long time ago Are Gamers Sick Of The Call Of Duty Series? [MUO Gaming] Are Gamers Sick Of The Call Of Duty Series? [MUO Gaming] Call of Duty is huge. Every November for the last 5 years, a new Call of Duty has hit store shelves, and every year it sells better than the year before. Even the years that... Read More . Another game from yesteryear that is simple but insanely addictive is Bomberman, which is enjoying its 30th birthday this year. 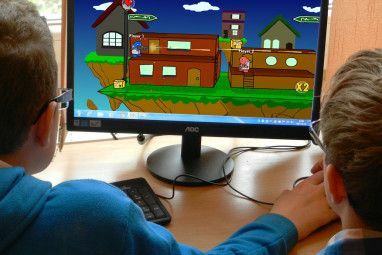 Unfortunately there’s little in the way of an official celebration, but the fans have a new way of expressing their love for the game and the character… Bombermine, a browser-based Bomberman MMO which has to be played to be believed. The original Bomberman game was released by Hudson Soft in 1983. Since then the titular character has appeared in dozens of other games on all manner of different platforms, making it one of the most recognizable franchises in video game history. The gameplay is simple to learn but difficult to master. Which is why it’s so popular. In the single-player mode you have to find your way through a maze, dropping bombs to clear each level of enemies and obstacles, eventually revealing the exit. In the multiplayer mode Bomberman becomes a last-man-standing affair, with real-world players seeking to destory each other with strategically placed bombs. It’s a highly entertaining experience, but one which could be bettered by an online MMO version of the game which adds hundreds of players, an ever-evolving environment, and a host of extra features. Which is where Bombermine comes in. Bombermine is a new HTML5-powered Web game which takes its cue from Bomberman but adds a whole slew of new goodies. 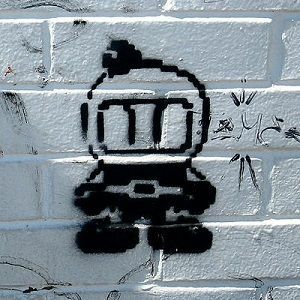 No one has yet admitted responsibility for the game, probably fearing reprisals from Konami, which (as admitted on the Bombermine homepage) owns the copyright to Bomberman. The game is currently in beta, and there is the occasional glitch which suggests more work needs to be done. Not that anyone should complain; Bombermine is free and a fantastic technical achievement. The creators are currently looking for moderators, translators, artists, and skin makers, which is obviously an admission that there’s massive scope for improvement, as well as being a clear indication that more effort is going to be made. Bombermine is, like its inspiration, simple to play but difficult to master. You choose a name and a server, and then enter the game. Each one has up to 1,000 players and lasts for 20 minutes. At which point a team of Pacman people (Pacmen?!) roam around eating the game world… making it worth sticking around right to the end. Your mission is to kill as many people as possible while avoiding being killed yourself. This is achieved by dropping bombs near to rival players while seeking out safe areas for yourself. Bombs explode horizontally and vertically, meaning you need to position yourself diagonally to any that are set to explode. If possible. The environment changes throughout the game, with walls appearing from nowhere. Thankfully you are given plenty of warning that this is about to happen, so be sure to avoid sticking around when the landscape starts to transform. You should also be sure to familiarize yourself with not only the basic controls but also the lengthy list of bonuses, bombs, and statuses that are designed to give you an edge over the competition. All of the extras are listed on the ‘How To Play‘ page. In short, bonuses are pick-ups designed to boost your character’s attributes or augment their abilities, while there are also a variety of different bombs which mean you’re able to dole out death and destruction in increasingly inventive ways. It feels like a lot to remember, but several games should be all it takes for the extras to sink into your subconscious. At which point you can actually begin to enjoy the experience rather than staring open-mouthed at the absolute insanity that is taking place on the screen as hundreds of people battle it out to be numero uno. Something which I have yet to achieve. Then again, I always sucked at Bomberman, so Bombermine was bound to be a challenge. Bombermine is absolutely essential for anyone who loves Bomberman, retro video games, and/or the simple pleasure derived from killing virtual strangers with a virtual comedy-shaped bomb. 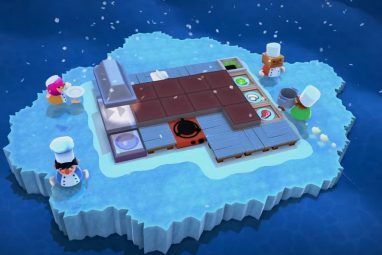 While it may not compare to an alcohol-infused evening beating real friends at a video game, this Bomberman MMO works on another level entirely. Have you played Bombermine? If so, what do you think of it? What other retro video games would you like to see translated to the Web and made playable directly in your browser? If Bombermine has whetted your appetite for playing online versions of retro games then be sure to check out playable online versions of the best Atari classics Atari Arcade - Play Retro Video Games In HTML5 [MUO Gaming] Atari Arcade - Play Retro Video Games In HTML5 [MUO Gaming] Anyone who plays video games today owes a huge debt of gratitude to Atari and the founders and engineers who worked for the company during its formative years. Atari was responsible for many of the... Read More . Yes! This comment made my day. I like how wildly inappropriate the some the names in the screen caps were "Fuckmyass". Alos, random Whachow reference. Oh my, how did I miss that... I should perhaps swap that out for a new screenshot lol.